Choosing to pursue cosmetology opens the door to many different career paths. You can become a hairstylist, a nail technician, or start a career as an esthetician. Estheticians are another group who have many different career options. We wanted to talk about estheticians for a while and give you more information about this focus in cosmetology. When most people think about beauty school, they are likely to picture a hairstylist, but it is so much more than that! Cosmetology school offers so many options to choose from, so if becoming a hairstylist isn’t for you, you have other options! At Designing Beauty Academy, we offer hairstylist, nail technician, and esthetician programs, as well as a cosmetology program that covers each of these areas! You can choose from any of these programs to get started in your beauty career! While the possibilities are endless, we are going to focus on the esthetician program and talk about why you should consider a career in this field of beauty. 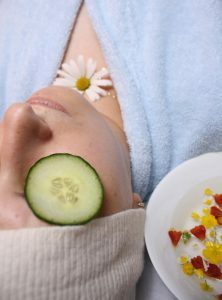 The esthetician program at Designing Beauty Academy in Windsor offers everything you need to get started in your career. You will learn everything from different makeup trends to interview techniques and everything in between! We want our students to succeed which is why we help with more than just the beauty side of the industry. These are all great techniques to learn and can help you find the right career path for you! While you could simply work at a salon as an esthetician and perform all of the tasks that we listed above, there are many different career options you can choose as an esthetician. Whether you want to help develop healthier beauty products or you want to be a makeup artist, a career in esthetician can get you there! Surely, these are not the careers you were expecting! But as we said, there are many different careers to choose from when you go into esthetician. This is becoming an esthetician could be the best options for you! You could use this to actually work in a salon and offer different beauty and skin care service, or you could do something that is related more to the business side of beauty! Besides the huge variety of career choices and the different skills you will learn, there are many benefits to starting a career in esthetics. Like other careers in the beauty industry, there are many benefits! One of the biggest benefits is the fact that you have freedom in your career. You will have choices in what you do, how many clients you have, how many hours you work, and more! You will not get this freedom in other industries. This is also a fun and rewarding career choice. You will get to meet so many people and offer them services that help them. You can make them feel more confident in their own skin, which is a great feeling! These are a few of the many reasons to consider a career in esthetics. Contact Designing Beauty Academy to learn more!